As discussed last week, there we be no home unless there was a foundation. So, make sure you are building a firm foundation, rooted in God’s Word before you begin working on the next step. 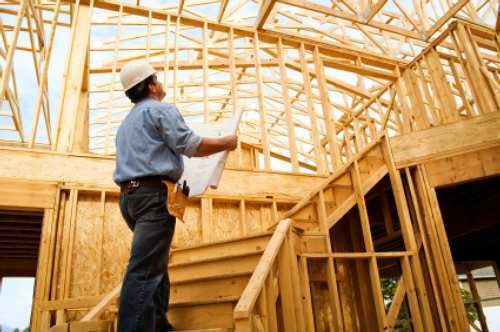 Once you have your foundation, it’s time to begin framing your house. And in building a spiritual home, the framing is your Godly example. Proverbs 13:22 – A good man leaves an inheritance to his children’s children, but the sinner’s wealth is laid up for the righteous. In America, we are experiencing an absence of our Fathers. 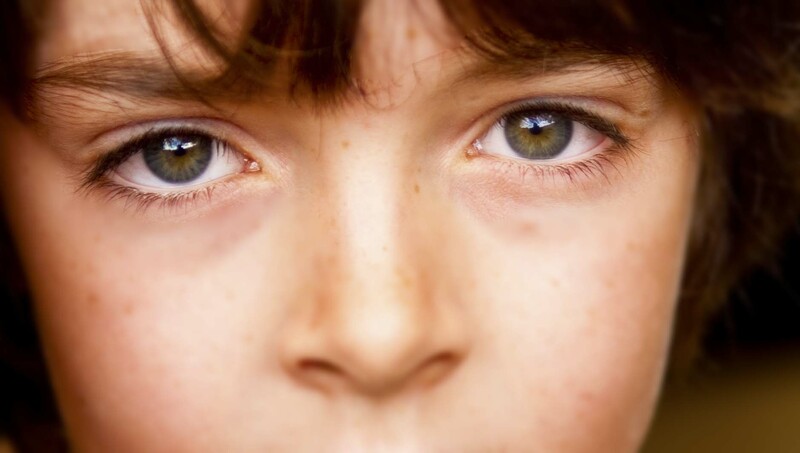 The average time father has meaningful dialogue with son each day – 38 seconds. 25% of teens claim they have never had a meaningful conversation with their father. And 25 million kids grow up in US without a positive male role model in their life. This has led to the sad statistic of children spending 40% less time with their family than a generation ago. Fathers – give your children a spiritual leader that they need. Strive to be like God the Father. Mothers – encourage your husband to be that man. Support him, ask about his devotional life, encourage him to find a mentor, and to find an accountability partner. Grandparents – Be a support to the fathers. Mature believers help equip our Fathers. Help find resources, buy them books or videos, be a Paul to the Timothy’s around you. In case you missed it, here is How to Build a Spiritual Home, Part 1. This past Saturday, I had the privilege to host a Parent/Grandparent Seminar. One of the session topics was “Building a Home”. For a guy who once lost all power to the first floor of his house after trying to fix an outlet…building a house is pretty overwhelming…and the thought of building a spiritual home, well that can be just as overwhelming. 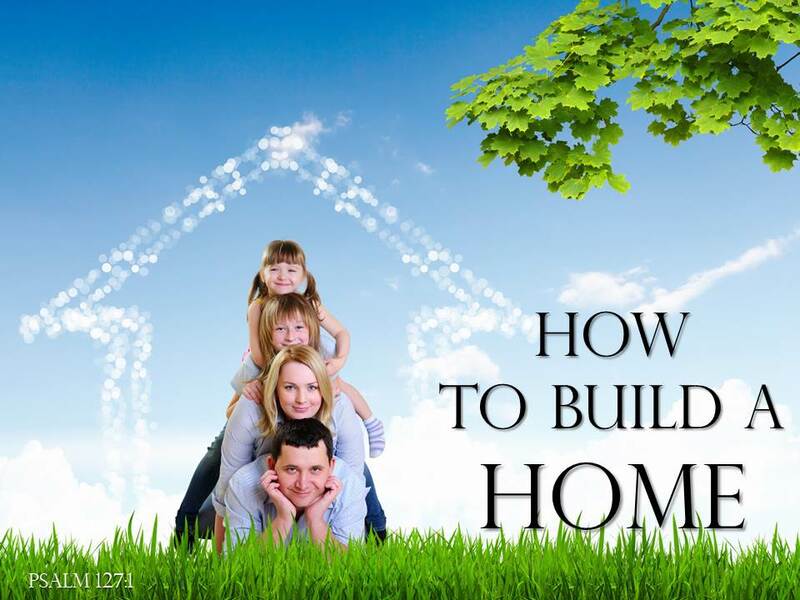 So the next few weeks, I’d like to share the basics of building a home….not a house (because I can barely build a play house, and I wouldn’t know where to start). But a home, well a good place to start is God’s Word, more specifically Psalm 127:1 – Unless the LORD builds the house, those who build it labor in vain. This verse has less to do with the hammer and nails, and more to do with wisdom & parenting. So in each of these steps, you will notice God’s Word supporting each idea and steps toward building a spiritual home. If mom and dad went to church: 72% of kids will as adults. If mom only went to church: 15% of kids will as adults. If dad only went to church: 55% of kids will as adults. If neither mom nor dad: 06% of kids will as adults. Your church attendance makes a difference. Teens are leaving the church at a rapid rate, and the biggest reason is not they are mad at church, but they just don’t see it as important. The famed theologian Justin Bieber was recently quoted as saying “for me, I focus more on praying and talking to Him. I don’t have to go to church.” You as a parent need to show them it is…for spiritual growth, encouragement, place to serve, for community, and most of all to give glory & honor to our great God. But it’s doesn’t stop there – the practical benefits are numerous. Academically, Sociologists from BYU and Rice University found religiously affiliated youth are 40 percent more likely to graduate high school than their unaffiliated peers and 70 percent more likely to enroll in college. Behaviorally, other studies have shown that religious involvement can also reduce drug & alcohol use and promiscuous behavior. The Barna Group published an incredible statistic. It found that less than 10% of families who regularly attend church have spiritual conversations in the home. WHY is that? Is the TV too loud? – The average American spends more than 34 hours a week watching live TV, plus another 3 to 6 hours watching taped programs. Not a Priority – God and His Word need to the foundation. Not education, not comfortable living, not even an iPad…it has to be God, and He needs to be brought up in conversation. 40 hours of TV…at least mute the commercials! Barna says: Parents that regularly discuss spiritual matters, actively serve in the church, and pray together with their kids are almost twice as likely their child will remain faithful! Deuteronomy 6:7 explains God should be discussed all the time. Use teaching moments whenever they present themselves. May have to sacrifice sleep with this b/c teens open up the most at 11pm…but do what you can to use these teaching opportunities ALL DAY LONG. Most spiritual doubts occur in jr. high and high school – help them through it. Don’t dismiss their doubts, but help them to make their faith their own. Don’t force it on them. Work through it with them. If we break down Colossians 1:23 phrase by phrase, it gives us a 3-dimensional faith that we all need to have, especially our kids. God saw it…when he put an 8-year-old on the throne to change the political and religious landscape of a nation. God also saw it…when a group of teenagers were asked to stand up against pagan idolatry while facing a fiery consequence. God saw it once more…when He sent an angel to tell a teenage virgin she would carry and deliver the Savior that would take away the sins of the world. Jesus saw it…when he chose a bunch of teenagers to be world-changers and his successors of the Gospel message. What did they see? The saw The Potential of Young People. Listen, if you don’t see it, and you are a parent of young children or teenagers, or you work in children or student ministry…then you need to start seeing it. All throughout Biblical history, young people were used in powerful, dynamic, and world-changing ways. From Josiah to the virgin Mary, we see God using a variety of characters to be used to carry out incredible tasks. So why should your children or teenagers be any different? About 10 days ago, the student leaders of our student ministry were in charge of hosting an Easter Egg Hunt for the community. They did everything from publicity & recruiting volunteers to organizing set-up and production of the event. There were 300 people who came to the event, and it was all on the shoulders of teenagers. These teenagers had an impact on their community because they were given the chance. Currently, I’m reading a book called Do Hard Things, written by teenagers that started a rebelution against low expectations of teenagers. They took that idea to the bank, and were able to intern in the Supreme Court at age sixteen. Their idea of being a teenager was not to wait until after college to make a difference, they believed they could do something right now. And you know what, I’m tired of low expectations too. Seeing teenagers plan an event for an entire community successful, allowing students to plan one youth group night a month from start to finish, pushing more young people to serve in church ministries…these things have changed my expectations of teenagers. It’s time we take them to new heights, push them further, and start seeing the Josiah’s, Mary’s, and Samuel’s of our group become world changers even before they reach adulthood. Start opening your eyes. Start seeing the potential of young people. God saw it, and so should you. This is something special. A team that has basically adopted a young boy with cancer onto their football team, gave the little boy an experience he will never forget. 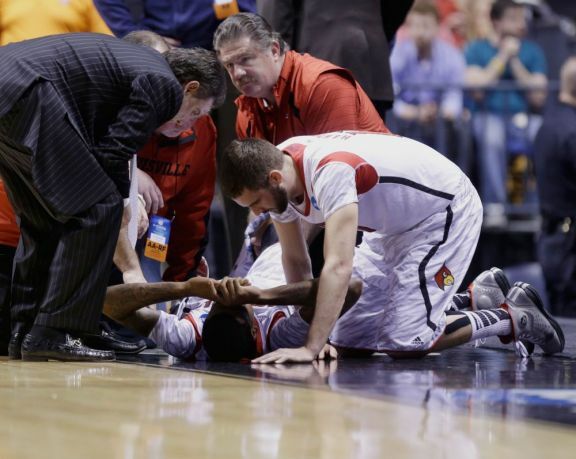 They loved a little guy who has had a tough go. So why can’t the church do this? I’m not talking about filling a stadium…I’m talking about helping others that are down, hurt, suffering…and give them a special experience. That experience is better than running into the endzone…it is the freedom in the gospel. Just like this video, it too will give you goosebumps when you see God save someone. Choose a mission statement – Gospel-centered statement to keep vision/purpose in mind. Gather Materials – Games materials, Fill Eggs (Sunny Bunny Eggs is a great resource), Tables, chairs, etc. 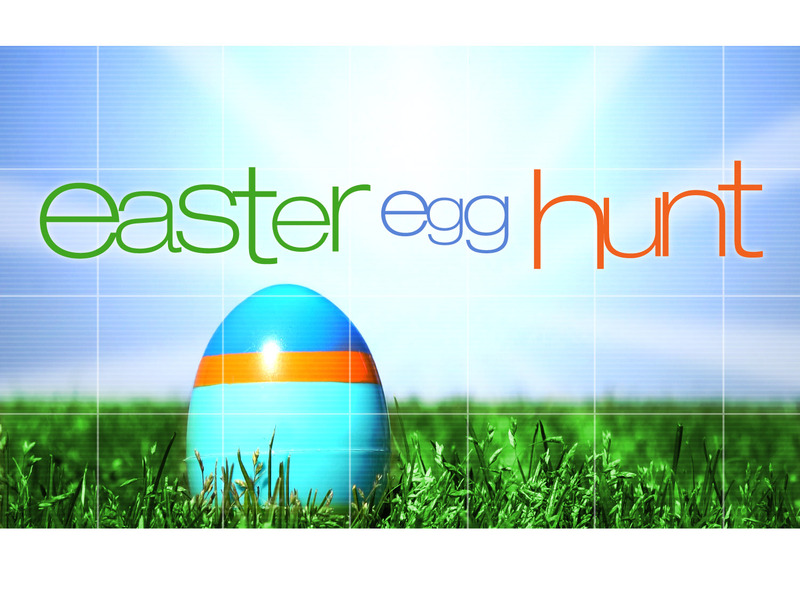 Meeting – Meet at location early with volunteers for set up (Suggestion: if possible, do a “mock” setup in the gym prior to the day of Egg Hunt). Gospel – The best thing about our Egg Hunt this year was the Gospel was shared. It was right before the Egg Hunt, so everyone was willing to hear about Jesus, then we did the Egg Hunt right after. At Registration – people signed up their child with a phone number. Possible a registration card would have been more efficient/organized. Children’s Ministry Team – Follow up with phone calls, visits, and emails. Pray you see them the next day! Record Ratings. 13 Million people watched The Bible. Did you hear what I said (well, wrote, but you know what I mean)? It was a record event for cable television. People were watching the story of redemption, the Word of God, the Bible from their living rooms. That is more than good! Did That Really Happen? Along those same lines, it got people reading the Bible again. How could it not? You want to go back and check the stories that were portrayed after viewing each scene. It was exciting to follow along in God’s Word as actors portrayed its wonderful contents. The Holy Land Meets Hollywood. 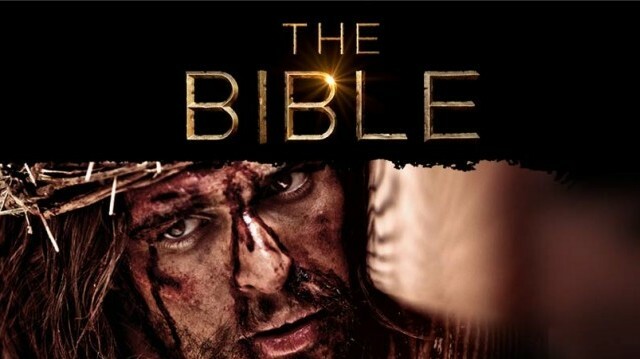 This was no ordinary Bible film. They did not sugar-coat the battle scenes, or comb over the violence, or baby the conflict. Heads were severed, killings did occur, and blood was spilt. In one of the first episodes, when they showed the angels go all “Jet Li” on the people of Sodom, I knew this was not going to be like Bible movies of old. And the Emmy for Best Cinematography Goes To… Sure, it did not have an Avatar film crew or a Star Wars budget, but it was a level above in terms of cinematography from other Bible films. This was a show on History Channel, so let’s get our expectations where they should be. And in my mind, the sets were well designed, the props and costume design were well done, the parting of the Red Sea was awesome, and the holes in Jesus’ hands were memorable. It was a ram, not a lamb. Sure they rhyme, but still doesn’t make it an easy mistake to make (another rhyme). Sarah also running up to the mountain like a crazy mother…yeah, not true. Wise men….noooooo. It’s the most common mistake made in the telling of the Christmas story, why repeat it here. I actually said, “No wise men, come back in a couple of years, turn around. Aw, nuts.” The wise men were early. Jesus’ Sayings: What Jesus said during his early ministry was said in later events, and vice versa. Disappointing Edits. I joked last night “Joseph of Arimathea didn’t make the final cut. I guess we will find him in the deleted scenes”. But there were more serious edits, like the Baptism scene. That would have been a perfect opportunity to display the Trinity, but they left out that whole part. Disappointing. Although it is only a 5 night series, I’ll let some edits pass, but this one was a bummer. Gospel. This may have been the biggest. Could people have gotten saved through this movie? Was the Gospel clearly presented…I think it needed more. Give more detail of what Cornelius prayed, dig deeper with Nicodemus, and explain how people became Christians. The Gospel was in there, but I wanted more! Ethnicity and Age of the Characters. It was good to see Mary & Joseph young, since they were probably teenagers in the birth story. However, the disciples (except for Peter) were most likely high school age as well (not older men with beards). Also, I was a little surprised that they went with the classic representation of Jesus. Sure, that man looked exactly like the drawings of Jesus we have seen drawn for centuries. However, it was very likely Jesus, and many other of the Biblical characters, had darker skin. This review will be put in a pile of thousands of others, who will review The Bible (the series, not the Bible itself, because that definitely is ALL good, and deserves an A+). Sure, there are inaccuracies. And this disappointing, when all the writers had to do was look in the Bible, your material is right there! That was my reasoning for not giving it an A. So, my warning is to take what you watch with a grain of salt (and also be careful of the little ones, since it does at times get a bit violent/gory). However, the reason for an above average grade is because people were able to watch the story of God redeeming His people from the Garden to Paul on the road to Damascus. And maybe there were people watching that realized they need a Redeemer in their lives too! Bibles were opened that may have had previously been dust collectors. The Bible is being discussed on Twitter, Facebook, and other social mediums. In my mind, this series served its original intent and purpose…to produce a film that increased the discussion of the Bible, exposed America to the book that it once was founded upon, and revive the reading and knowledge of a book that many just know as of something they find in the drawer in hotel rooms, or what was read to them by their grandmother. If that was what deems the series a success, then it hit the mark.